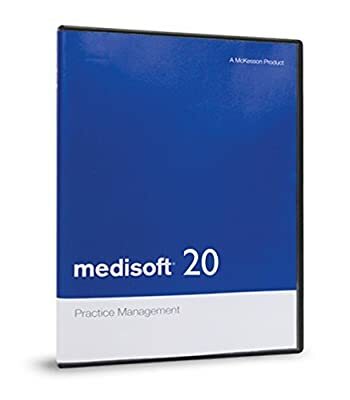 Medisoft Version 20 Net Pro (2 User) + Encoder Pro + 12 months support & assist with installation + Revenue Management configuration + Training Videos + FREE Shipping. Medisoft V20 is ICD-10 ready including ICD-10 Mapping Tool, Customized Carrier Setting to ICD-9 or ICD-10, Dual Diagnosis List, Wrong Code Set Warning, and is compatible with the new CMS 1500 02/12 Form. Revenue Management (RM) is built into Medisoft streamlining the claims submission and management process. In order to use Revenue Management (RM), RM needs to be configured to your clearinghouse. Professional setup and configuration is included with purchase of product. This product needs to be installed onto your computer. With purchase, 12 months of technical support including installation assistance is included. Call technical support and we will answer questions about installation and help make sure everything is running properly in the program for the first 12 months after purchase. Medisoft Encoder Pro is included with purchase. Coder's essential ICD-10-CM, ICD-9-CM, CPT, and HCPCS code look-up software integrated directly into Medisoft. Offers fast, detailed search capabilities of over 20 volumes of procedure, service/supply, and diagnosis reference material and lay descriptions in real-time. Training videos are included that cover basic and advanced features, and ICD-10 features. Medisoft Net Pro is for larger offices that have multiple users that need to access scheduling and accounting at the same time from different computers on the network. Includes all the powerful features in Medisoft Advanced plus more! Medisoft software is for independent medical practices and medical billing companies. Manages multiple practices and multiple doctor's schedules; submit claims; patient accounting. Includes direct connection/configuration to clearinghouse. Includes Medisoft Encoder Pro. Includes training videos for basic and advanced features. Includes 12 months technical support PLUS assist with Medisoft installation.